Registration for the institute closes February 23 at 11:59 p.m., so book today to confirm your spot in the institute! The clinical stream builds on your clinical expertise using best practice guidelines related to wound care. 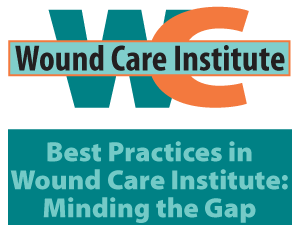 To reduce the physiological, psychological, and the fiscal burden of wounds throughout Ontario by building clinical expertise using best practice guidelines (BPG) related to wound care. If you have questions about this program, please email Grace Wong, event planner.